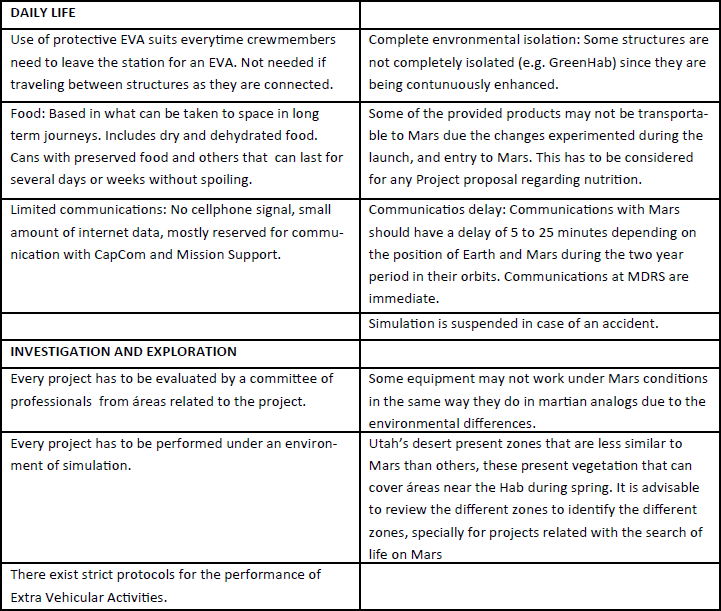 The Mars Desert Research Station is a group of connected facilities where crews of six or seven people live for periods of two to three weeks while simulating that they are in a real mission on Mars. This habitat is the second of four planned habitats operated by TMS. It was built in the early 2000s and its continuously implemented to provide with the needed facilities. 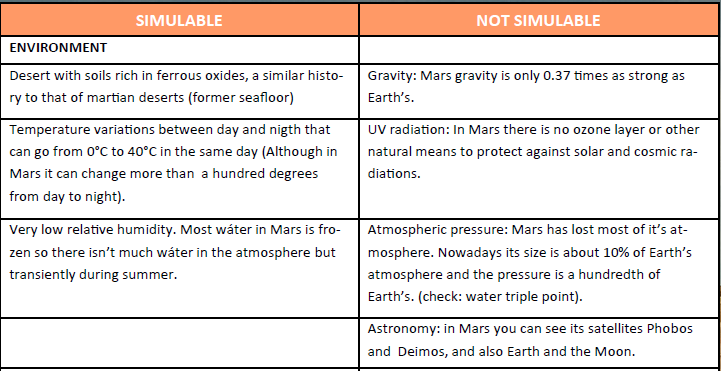 As this analog is still on our planet, not all the martian conditions can be emulated, nevertheless, it is still a useful place to test equipment, and strategies for an eventual mission to Mars. The ‘campus’ is composed of six structures that have been added to the station progressively since it was originally built. Hab: A cylinder shaped structure with a diameter of 8 meters, and 8 meters of height. It has two floors and it’s designed to host up to seven crewmembers at one time. The lower deck includes an EVA preparation room for the crewmembers to wear the spacesuit simulators, an external airlock, a shower room, a toilet room and a rear airlock that leads to the tunnels that conduct to the other structures. The upper deck includes the crewmember room and a commom living /work area, a fully operational kitchen. Over the rooms, there is a water tank than can be filled with 20 liters of water from the principal reservoir to be used in the daily activities of the crew. 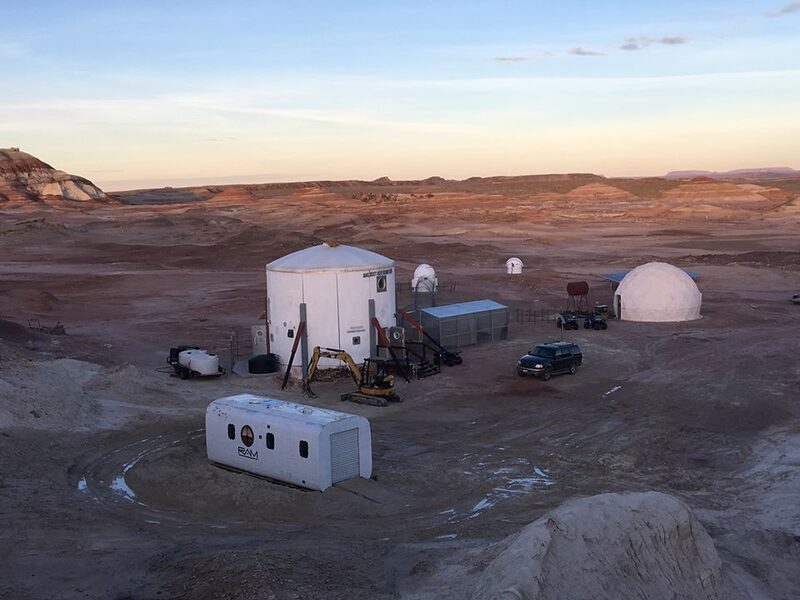 Outside of the Hab there is the principal water reservoir that is provided for a two week simulation, and the tunnels to communicate with the other structures. This is where analog astronauts spend most of their time when they are not performing an Extra Vehicular Activity (EVA). Greenhab: It is a transparent structure of 3.65 x 7.32 meters. 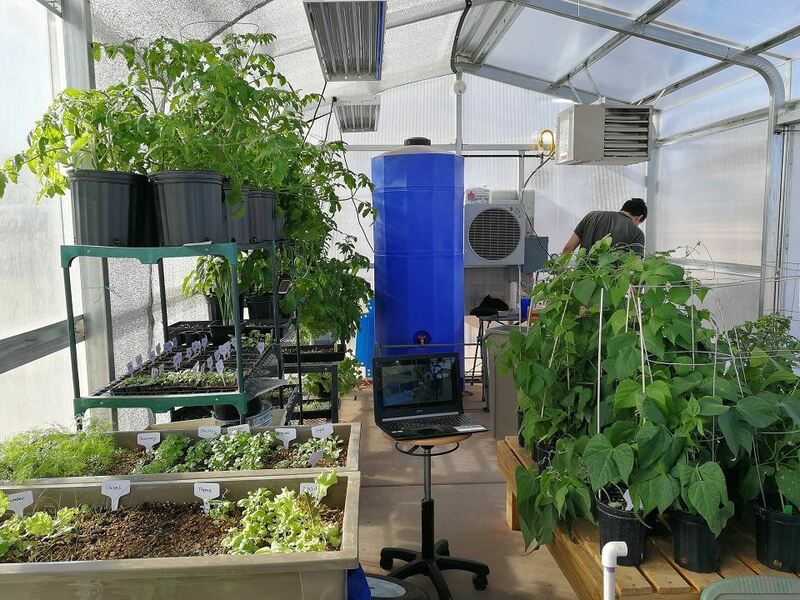 It contains systems for conventional growing and aquaponics, and also a space for crop reseach studies. Climate is controlled by propane heater and a swamp cooler. It also includes growth lights to compensate for light during winter. Science Dome: A geodesic dome with a diameter of seven meters, it contains the microbiology and geology laboratory. 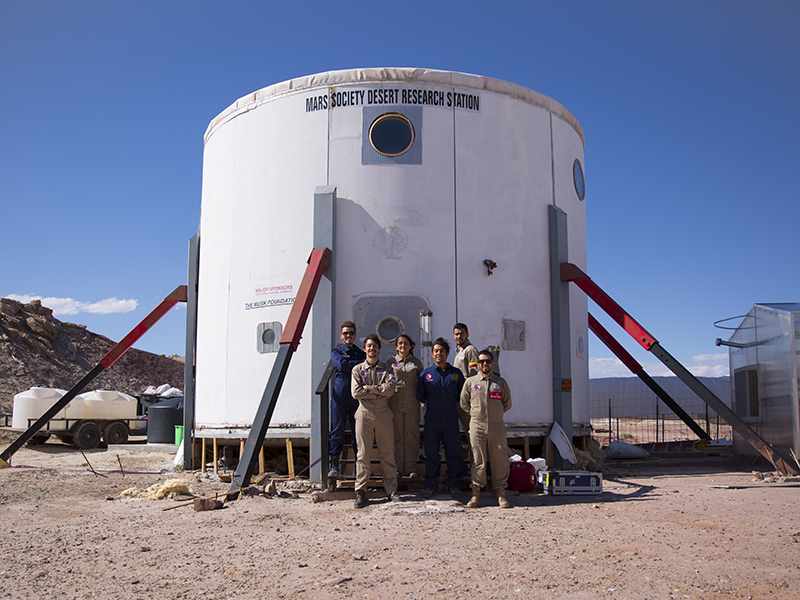 Some experiments with microgravity and microbiology have been carried here by members of Team Latam I and Team Peru V.
This module was implemented in 2016, before this rotation, crews used the first floor of the Hab for science projects. Repair and Maintenance Module—RAMM: This building was added in the last months of 2017. It is a refitted Chinook helicopter and will be used to house the ATVs and rovers for repairs, as well as for performing engineering research. 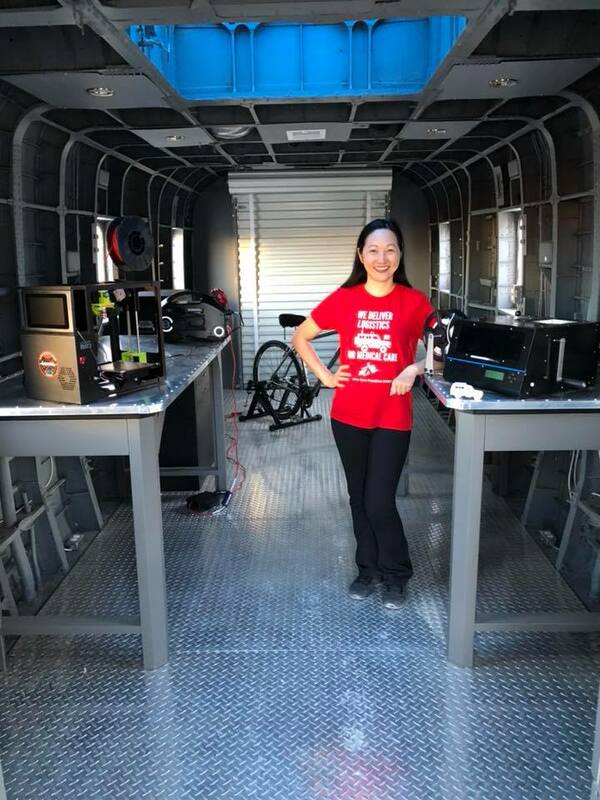 3D printing projects are also performed here to create tools with Mars resourses. We hope that future crewmembers of the Team Peru and Team Latam programs will make good use of this module. Musk Observatory: A solar facility equipped with a Lunt 100 mm refracting telescope and a double stack of hydrogen alpha filters. This observatory has been specifically designed for Sun observation. 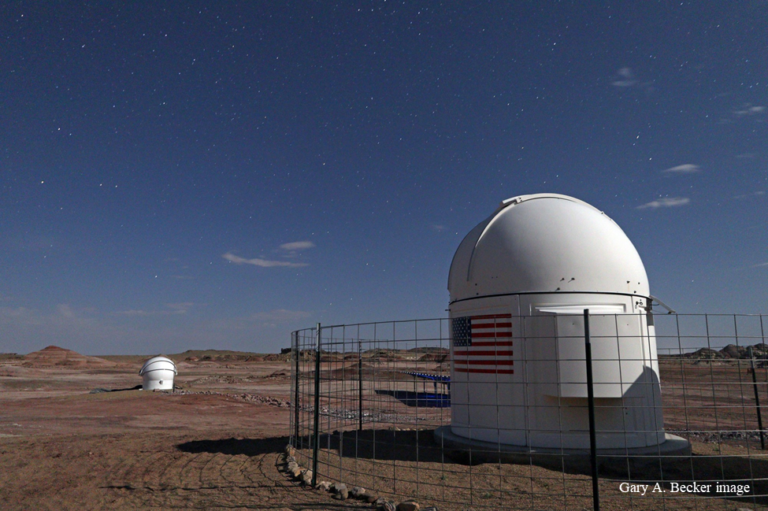 It has been used by members of Latam II to perform observations of the night sky, and will be used by Team Latam III to study “Near Mars Objects” or NEOs. 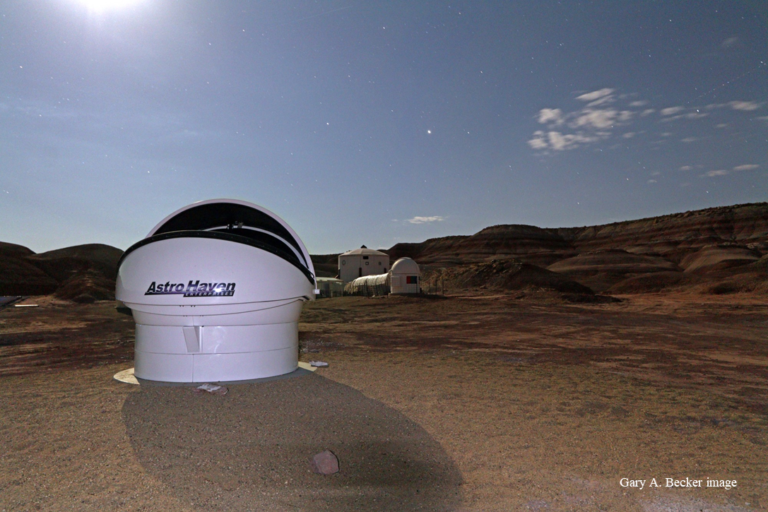 Robotic Observatory: It houses a 14” Celestron Schmidt-Cassegrain telescope on a CGE pro equatorial mount. 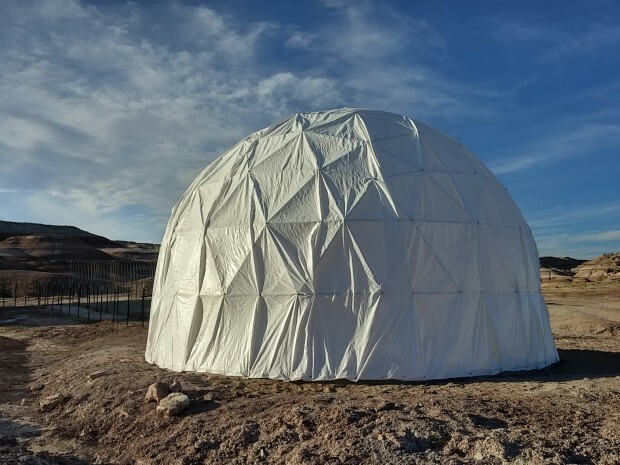 The observatory is a 2.3 metter dome that can be controlled from the Habitat. 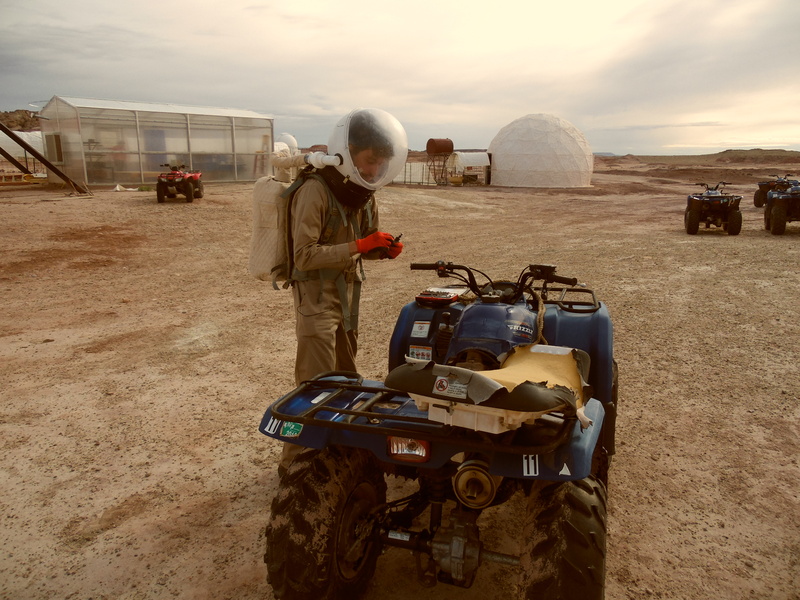 ATVs and Rangers: MDRS owns a series of vehicles used for Extra Vehicular Activities or emergencies. This includes 5 standard ATVs, 4 electric-powered ATVs, a two-person Polaris Ranger and a 4-wheel drive SUV.